Today was SO SO SO fun... despite the horrible heat and humidity we got in the cars and drove out to the African Safari. We road around the place in our cars and we were able to feed the animals from our car. 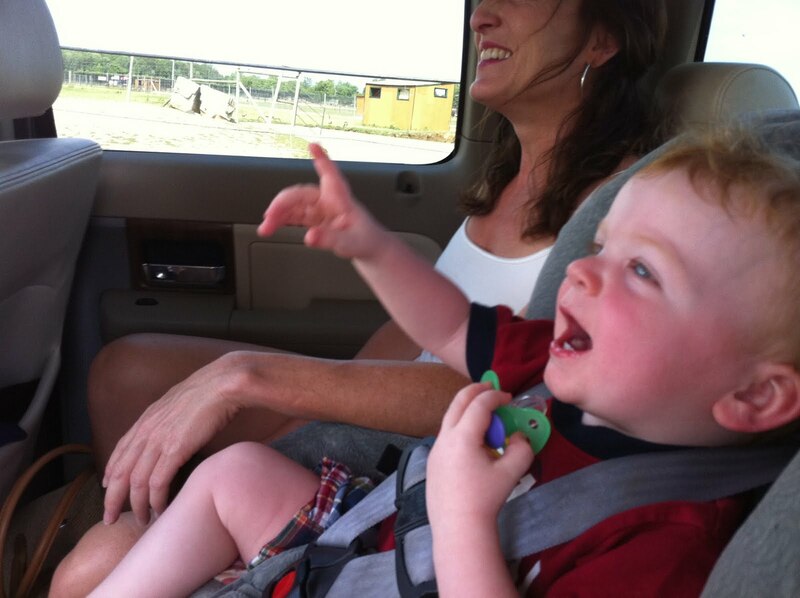 My mom and I drove in the car with Sarah, Emma & Deacon and the other car held Zac, Damien, Uncle Matt, Aunt Beth & dad. 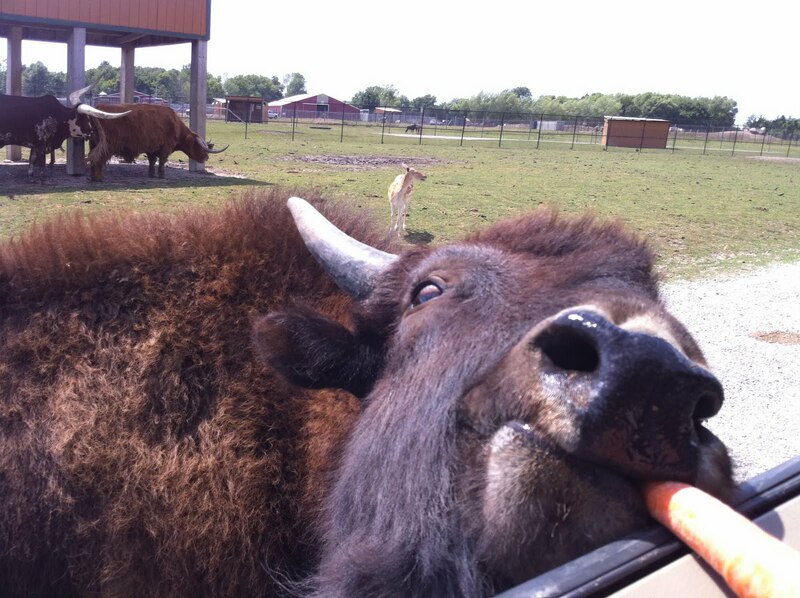 We all had so much fun and were laughing so hard the entire time... despite me screaming everytime a buffalo tried to get in my car. Unfortunately I was stupid and took the wrong lens for my camera... so my pictures turned out horribly- but Damien got some cute ones with his iphone from the other car. I got some really funny videos- though the quality isn't great because I'm either screaming or laughing. I'll post the videos later, but for now, enjoy the pictures. Zac kept saying "doggy!!!" everytime an animal would come near the car... this is him pointing at the giraffe. And this beauty? This, my friends, is my brother-in-law. A self-portrait. Breathtaking? Beyond words. You know you have been out of Ohio WAY TOO LONG when you fall for tourist traps. Looks fun though- still just bitter and jealous.